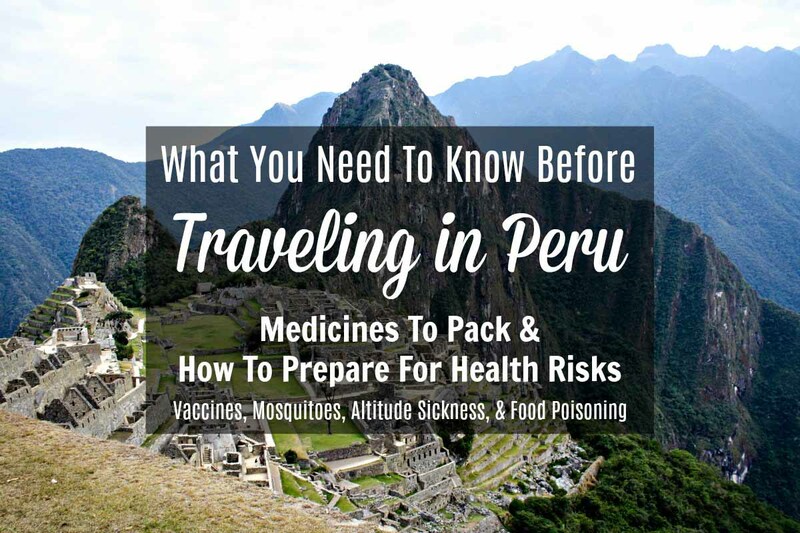 This post about how to prepare for the health issues travelers may face in Peru contains affiliate links and advertising. If you click on one of these links and purchase an item, I may earn a small commission. This is at no extra cost to you and helps to support this blog. Thank you for your continued support! Are you planning a trip to Peru? Before you hike Machu Picchu, kayak the Amazon River or eat ceviche in Lima, you’ll want to be prepared for a variety of health risks. Take it from someone who suffered through food poisoning, altitude sickness, and painful mosquito bites that you want to be prepared for the worst to have the best experience traveling in South America. First, I could not stress enough to you the importance of making sure your vaccinations are up to date before traveling abroad. Major vaccines include Dtap (tetanus), Polio, and MMR. If you are an American, you likely received these as a child, but you may be due for a booster Tetanus shot. 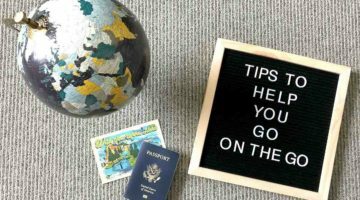 Recommended vaccines for traveling abroad often include Hepatitis A and B, Meningitis (often required now before attending American universities, for those of you studying abroad), and the flu shot. If you are not sure if your vaccinations are up to date, you can ask your doctor to run a test to find out. Most importantly for Peru, you should get a typhoid fever vaccine, which is available as a shot or an oral vaccine. I opted for the oral typhoid vaccine because it was less expensive than the shot and is good for five years, whereas the shot only covers three years. 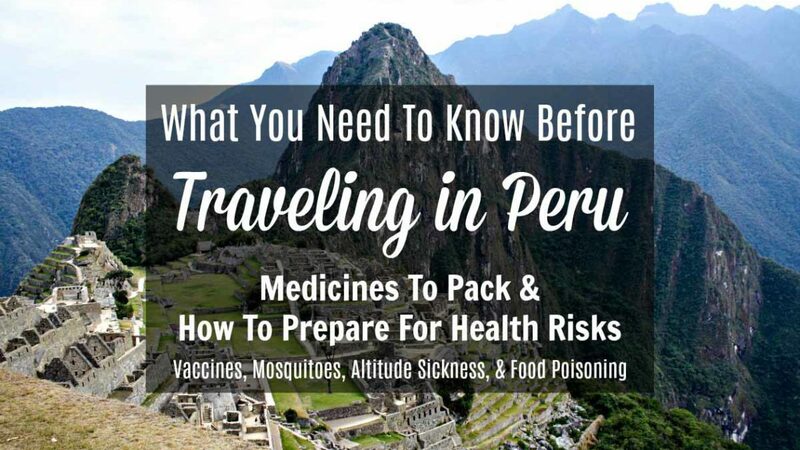 Depending on where you’ll be traveling in Peru, you may also need a Yellow Fever vaccine. When you get the shot, ask your doctor for a certificate of vaccination. Mine is a yellow form issued by the World Health Organization. If you are Australian, I heard from several of my Aussie travel companions in Peru that they need to show the Yellow Fever certificate in Australia to return home. Check with your travel doctor and country’s requirements to be sure. Americans: To make sure you are getting the correct vaccinations for the areas you’ll be visiting and the activities you plan to do, you should check the CDC website and make an appointment with your travel doctor. The nurse I met with at my travel doctor’s office highly recommended taking malaria pills. Though I was assured malaria would not be an issue in Lima, I wasn’t sure every other small city I was visiting during the latter half of my trip was free of malaria. I was advised to start taking one pill with dinner beginning two days before traveling and continue taking it daily through seven days after I returned from my trip. For my 21-day trip, I was prescribed 31 pills for a whopping $178. Though that is a rather steep charge for medication, I tend to err on the side of caution. Always a Girl Scout, I’d rather be over prepared than risk getting an infectious disease. With that said, once I arrived in Peru, I realized that I only needed mosquito protection and malaria pills for the Sacred Valley and Machu Picchu. My trip did not involve the Amazon, but if you plan to travel there, your doctor will likely prescribe malaria pills and recommend DEET bug spray. The mosquitoes at Machu Picchu are intense. As I sit in the Lima airport, just one day after visiting the lost city of the Incas, the area from my ankles to my lower calf, where my workout capris stop, is covered in red splotches of mosquito bites that absolutely throbbed last night and are just starting to itch. These bites are nothing like the North American mosquitoes’ bites. Honestly, my legs are looking a bit scary right now. Seriously, I could not recommend using this mosquito repellant and wearing long pants and sleeves enough. 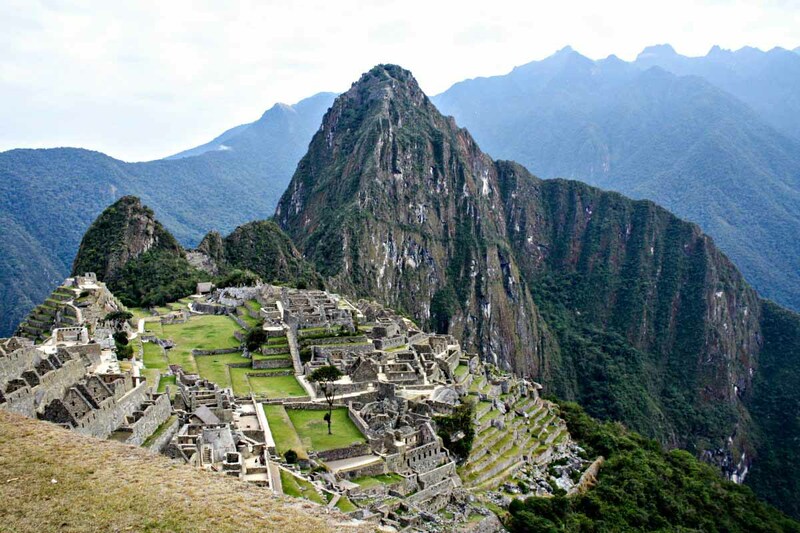 If there is ever a time to use DEET, it is at Machu Picchu. Update (October 2017): The CDC warns travelers there is a risk of the Zika Virus in Peru. The CDC recommends pregnant women, partners of pregnant women, and couples planning pregnancy not travel to elevations below 6,500 feet in Peru. That would include Lima and the coast, but Cusco has a lower likelihood of Zika exposure. Zika can cause serious birth defects, so the CDC recommends couples take extra precautions such as using condoms to prevent sexually transmitting the virus. For more information about Zika in Peru, please refer to the CDC Alert as information may change before I update this post again. Altitude sickness is a difficult ailment to avoid when traveling at a fast pace. If you can, hydrate as much as possible before reaching a high elevation. Otherwise you might feel as tired and uncomfortable as I did in Puno. Do not assume that you will be OK because you have been in high elevations beforehand — half of my travel group missed out on dinner in Puno because we were struggling with the altitude. What does altitude sickness feel like? How do you treat or prevent altitude sickness? Give yourself time to adjust to higher altitudes before extreme activities like hiking. 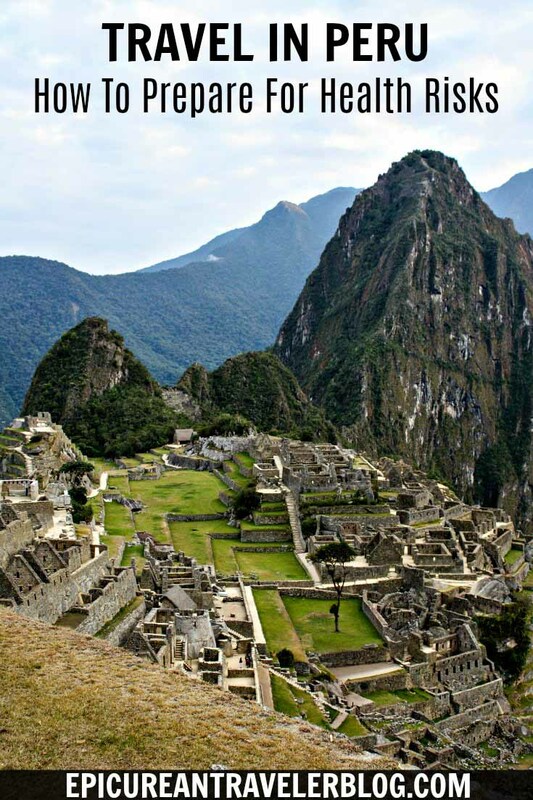 For example, spend a day or two in Cusco before hiking the Inca trail or visiting Machu Picchu. If you don’t want to miss out on any once-in-a-lifetime experiences in Peru, like I did when I missed white water rafting in the Sacred Valley, travel with anti-diarrheal medication and an antibiotic. Which medications should you take if you get traveler’s diarrhea/food poisoning? Ciprofloxacin – Ask your doctor for a prescription for this antibiotic. It may be completely covered by your health insurance if you are American. You can also buy this over the counter at pharmacies in Peru, but — trust me from personal experience — it would be best to have it on hand in case of emergencies. Pepto Bismol – Yes, it is pink and gross, but this over-the-counter medication is a traveling eater’s best friend. Not only does it slow digestion, it also alleviates most upset stomach ailments foreign travelers are too embarrassed or too lacking in vocabulary to accurately describe to a pharmacist. I recommend the pills or chew tablets instead of the liquid. Which foods/drinks should you avoid in Peru? Fruits without skins – Any fruit with a tough peel like a banana, melon or orange is probably OK, but beware of fruits with thin to no skin like strawberries. Instead try local fruits like granadilla or chirimoya from an open-air market. Salads washed in local water – Vegetables are safest when cooked thoroughly. If you want a salad, just ask how the vegetables are washed. In nice restaurants that serve a high volume of tourists, you are probably safe ordering a salad. If you are worried about this, stick to potatoes — Peruvians eat 3,000 varieties. 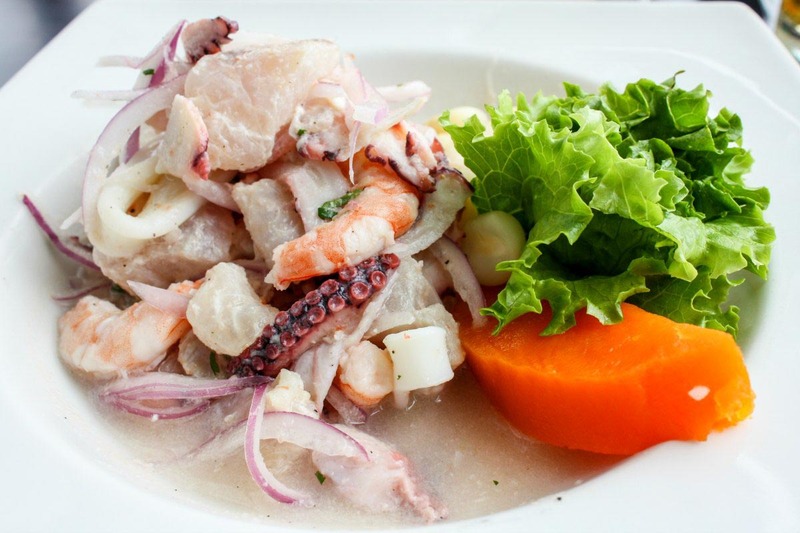 Raw meat – If you want to fully enjoy the culinary scene of Lima, South America’s culinary capital, you’ll want to try the ceviche made with raw seafood. The citric acid actually cooks the fish, so just stir your dish really well before eating to ensure the acid has killed all the bacteria. Tap water – Order “agua sin gas” for flat water or “agua con gas” for mineral water at restaurants. I wet my toothbrush with the local water, but you should not drink the tap water due to the bacteria in it. Even the locals boil the water they drink. Ice – Ensure the ice is made from boiled or bottled water before asking for it in a drink. If you aren’t sure, just drink your beverage warm like most drinks in Peru are served. Mayonnaise – This is likely what gave me food poisoning in Peru, so I obviously recommend avoiding it. Travel Insurance — Email your policy to yourself, and pack a hard copy of the vital information of your plan, including phone numbers to call in case of an emergency. 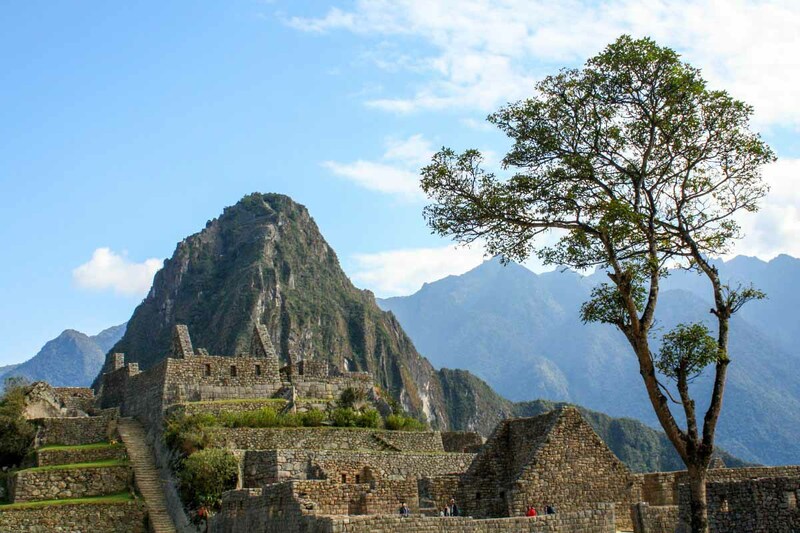 I purchased my travel insurance policy from World Nomads for my Peru trip. Anti-diarrheal medication such as bismuth subsalicylate — Pepto Bismol comes in a convenient travel size! Antacids — Though you can take Pepto Bismol for heartburn and indigestion, TUMS comes in tastier flavors such as assorted fruit or peppermint. ibuprofen — I like these travel-size Advil bottles that fit into a purse or jacket pocket. Sunscreen — For travel, I like Neutrogena’s face and body stick sunscreen and pocket-size beach defense™ with 70 SPF. Bug spray (preferably with DEET) — I’ve found this mosquito repellant with DEET works really well. It’s also sold as wipes. Neosporin or a first-aid antibiotic cream — Neosporin makes this handy to-go spray! Anti-bacterial hand sanitizer — I like Wet Ones hand sanitizer wipes and Purrell hand sanitizer portable bottles that you can loop onto your purse strap or backpack zipper pulls for traveling in Peru. Read my post about hygiene essentials for Peru to see why! For female travelers: Femcare products (note: tampons are not often used by Peruvian women and may be difficult to find, especially ones with an applicator), Midol/Pamprin/other menstrual relief medication, and contraceptives for your trip. If you’ll be traveling in Peru while it’s your “time of the month,” you might want to the try The DivaCup. I’ve explained why traveling with the menstrual cup is beneficial in Peru. Plus, that post shares four other hygiene tips you should know before you encounter the bathrooms in Peru. Many of the above links are affiliate links. That means if you click on one of those links and make a purchase, I may earn a small commission. This, of course, is at no extra cost to you. Save this post to Pinterest to reference when you prepare for your Peru trip! Do you feel prepared for visiting Peru? Would you add any other medications or health-related products to this packing list? I used to get nosebleeds all the time when I lived in Ecuador. Unlike you, my nose would suddenly start to bleed like someone kicked a soccer ball in my face. And this was after I had been there for weeks and had, for the most part, adjusted to the altitude. It was definitely not fun, but luckily I wasn’t too affected by the altitude other than that. Oh, Allison, that sounds rough. It’s strange how altitude affects everyone in different ways. Did your nosebleeds subside eventually on their own? Did you find a remedy that helped at all? Because I have family in Peru, i go there all the time. I wouldn’t worry to much about vaccines unless you are going to the jungle or other small towns. Lima and Cusco are pretty safe, I just have my standard person of 1987 about 30 vaccines and I’ve been fine. But, I have never been to the jungle (that’s another story). Bug spray is important if you are hiking Macchu Picchu. Not necessary at all in Lima. Anyways, there is so much good food in Peru. So many good restaurants. I really love Dpaso – it is out of the way from Lima, but near some ruins. Amazing Lomo Saltado and great dpaso horse show too. Luckily, I never had an issue with chicha morada. I unfortunately got food poisoning from a hotel restaurant in the Sacred Valley. I had ordered a dish with an avocado stuffed with a mayonnaise-based salad. Bad call. Our food took a really long time to prepare, which should have been my first indication that eating there was not a smart idea. Otherwise, the food I experienced in Peru was amazing, so I have to agree with you that there are many great restaurants, especially in Lima. I loved lomo saltado, so I’ll have to keep Dpaso in mind! I second Marisa’s comment. This is very detailed and informative! That being said, I think much of your advice can be used for travel to several other countries. As I read this, I found myself nodding in agreement, for I took many of the same steps before my trip to East Africa. Luckily, the only issue I had while in Peru was a bit of altitude sickness. I had a dull headache that lasted about a day, but then I was fine. I did have some coca leaf tea, so I’m sure that helped. You are lucky! Compared to some symptoms I and some of my fellow travelers on this Peru trip experienced, a dull headache is not too bad. I really thought I’d be OK with the altitude since I had no problem with it in the Colorado Rockies. Plus, I knew all these tricks to prevent it going into the trip. However, I think traveling at a fast pace, spending only a night or two per destination, was the root cause for why I couldn’t get used to the elevation at first. I was simply not hydrated enough. Regardless, it seems that altitude sickness is rather unpredictable, affecting people in different ways at different times. 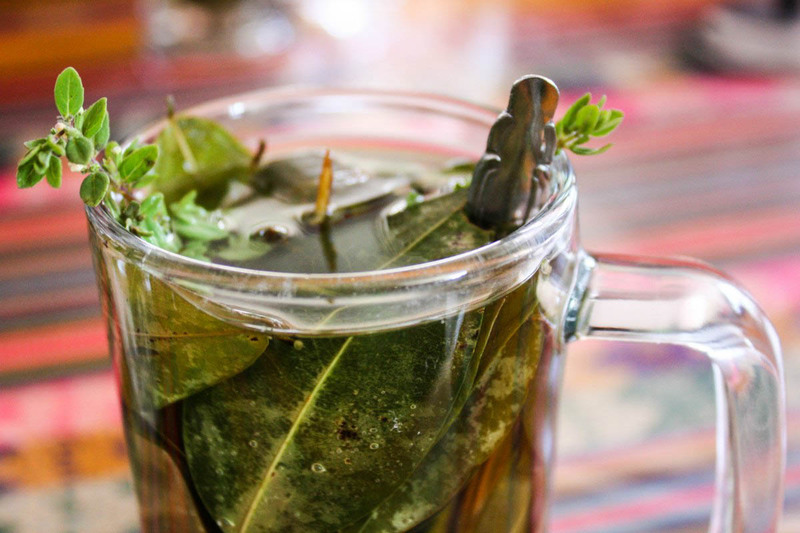 Better to be prepared with some coca leaf tea and extra water to be safe! You’re welcome! I basically rounded up everything I had researched before my trip and everything I (unfortunately) experienced during my trip into one single post. I hope other travelers find this useful and avoid some of the ailments that I experienced. Those mosquito bites were the worst!